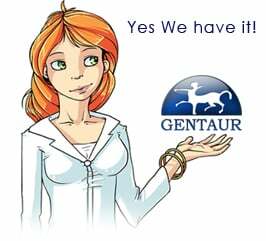 Gentaur antibody-antibodies.com The Marketplace for Antibodies : The Retinol Circulating Complex Releases Hormonal Ligands During Acute Stress Disorders. The Retinol Circulating Complex Releases Hormonal Ligands During Acute Stress Disorders. Intensive care workers actively participate in very hot debates aiming at defining the true metabolic, hormonal and nutritional requirements of critically ill patients, the contributory roles played by thyroid and retinoid ligands being largely underestimated. The present article makes up for redressing the balance on behalf of these last hormonal compounds. The retinol circulating complex is transported in the bloodstream in the form of a trimolecular edifice made up of transthyretin (TTR), retinol-binding protein (RBP) and its retinol ligand. TTR reflects the size of the lean body mass (LBM) and is one of the 3 carrier-proteins of thyroid hormones whereas RBP is the sole conveyor of retinol in human plasma. In acute inflammatory disorders, both TTR and RBP analytes experience abrupt cytokine-induced suppressed hepatic synthesis whose amplitude is dependent on the duration and severity of the inflammatory burden. The steep drop in TTR and RBP plasma values releases thyroxine and retinol ligands in their physiologically active forms, creating free pools estimated to be 10-20 times larger than those described in healthy subjects. The peak endocrine influence is reached on day 4 and the freed ligands undergo instant cellular overconsumption and urinary leakage of unmetabolized fractions. As a result of these transient hyperthyroid and hyperretinoid states, helpful stimulatory andor inhibitory processes are set in motion, operating as second frontlines fine-tuning the impulses primarily initiated by cytokines. The data explain why preexisting protein malnutrition, as assessed by subnormal LBM and TTR values, impairs the development of appropriate recovery processes in critically ill patients. These findings have survival implications, emphasizing the need for more adapted therapeutic strategies in intensive care units.